Marsee Auditorium, El Camino Center for the Arts - South Bay Ballet's THE NUTCRACKER, returns to El Camino College. 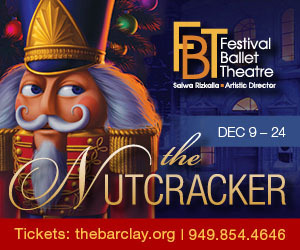 South Bay Ballet Nutcracker Audiences will be entertained by the uplifting surprises, turns, and twists to this time-honored holiday story. 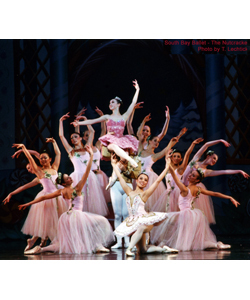 Unique to South Bay's Nutcracker is the presentation of Clara as a young girl who dreams of becoming a ballerina. In her dream she grows up and dancers with her Nutcracker Prince in a performance at the Kingdom of the Sweets. It's this new conception – a ballet about ballet and the passion to dance – that sets South Bay Ballet's Nutcracker apart from others.